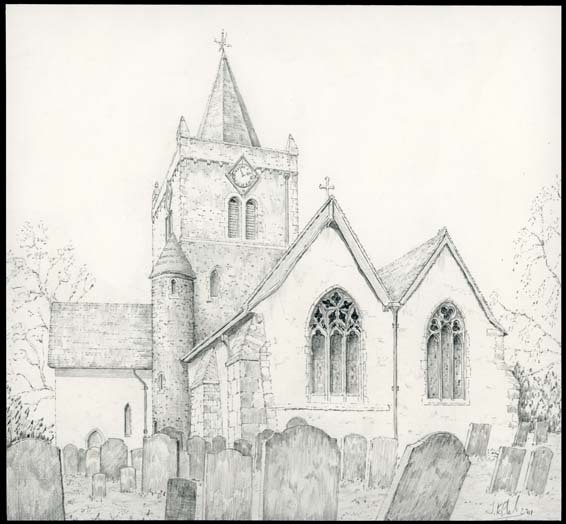 Original drawing by John Clark of All Saints church in Witley. The drawing shows the side elevation with the graveyard in the foreground. The tower has a clock surrounded by a diamond-shaped frame and there is a smaller, round tower to the left of the church. Pencil on cream drawing paper.